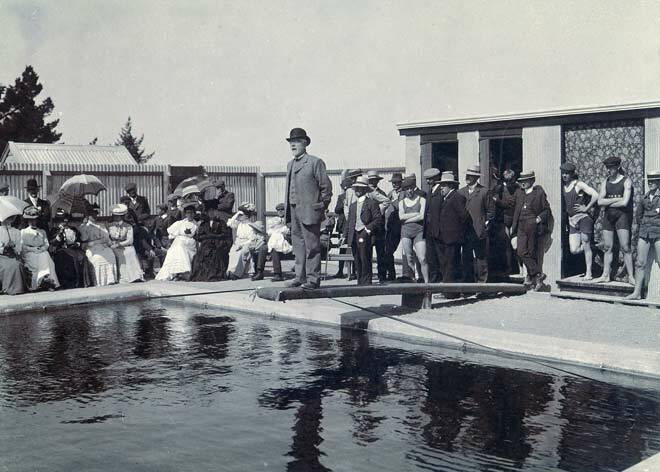 Waimate Borough Council's mayor John Manchester bravely went out to the end of the diving board to officially open the town's new public swimming baths in 1908. The other councillors can be seen behind him. One is said to have been pushed into the water fully clothed by a member of the public.